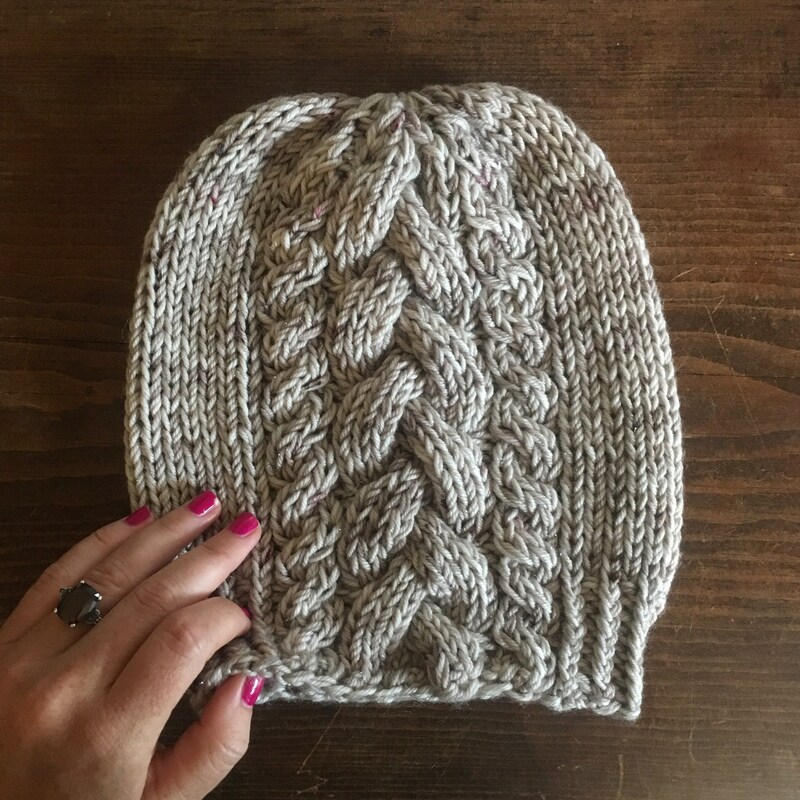 Three cables drop eloquently into the brim on this classic cable knit beanie. 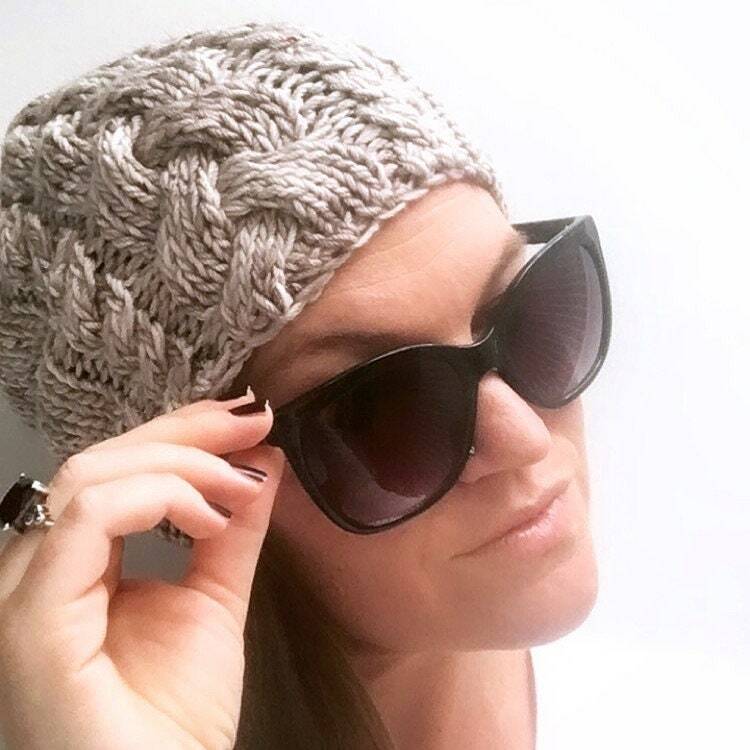 Cable detail is flanked by clean stockinette and an elegant twisted rib brim, and the smidge of slouch adds a modern flair. This double-stranded knit design is hearty enough for a snow day, yet blingy enough for a sparkling apres ski soirée. A classic cable design for your wardrobe…tres chic! And, it is the third addition to the Prem Knits “braided cable beanie” collection. 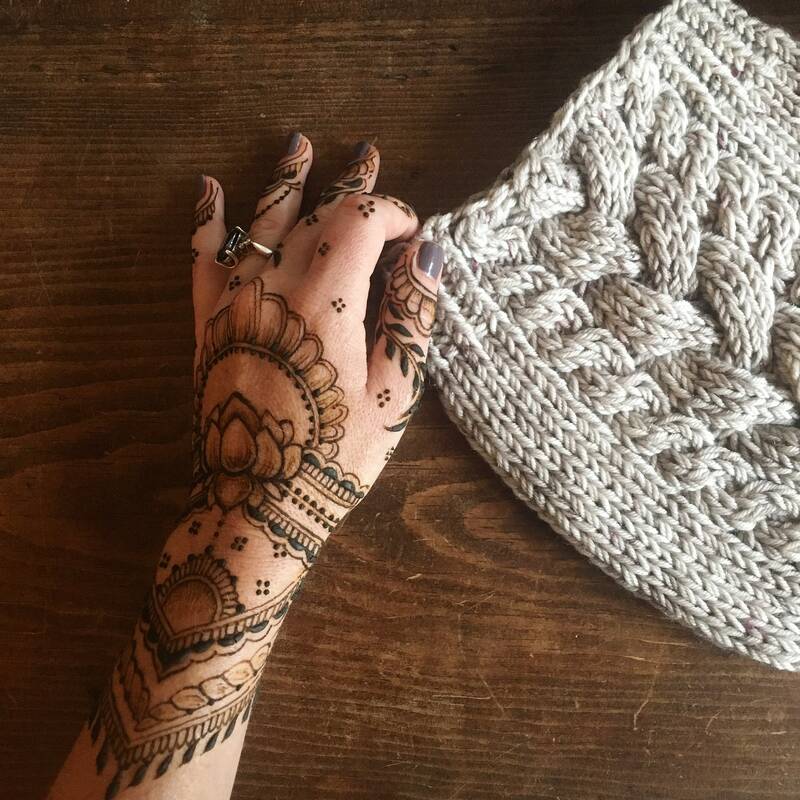 This knitting pattern is intended for the intermediate knitter, or the adventurous beginner comfortable with knitting in the round, basic cables, increases/decreases and finishing techniques. 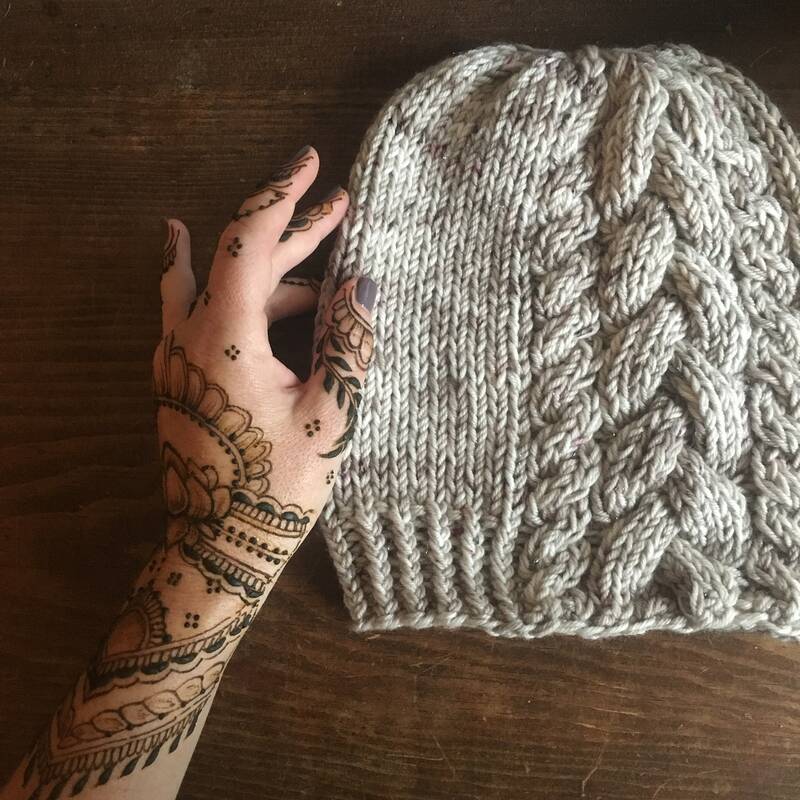 This beanie design is knit using one skein of DK (3)/light worsted weight yarn, double-stranded. If using a single skein of yarn, cake your yarn strategically to ensure both ends of the skein are accessible to be held together. You may also use two separate skeins of DK, or opt to use a light bulky weight yarn as an alternative.